Based on Angie Thomas’ 2017 same name novel, “The Hate U Give” follows Starr Carter (Amandla Stenberg), a Black teenager forced to deal with adult-like problems, when her friend is killed by police. Like so many other young Black people, Starr experiences some of the world’s most difficult scenarios prematurely. The movie is an emotional roller coaster permeated with grief, joy, sorrow, and hilarity. The film has a hard-hitting cast—Russell Hornsby, Regina Hall, Common, Issa Rae, and Anthony Mackie. The “starr” who shined the brightest though is Amandla Stenberg. She is perfect. The 19-year-old captures both the innocence and strength of Black femininity. If “The Hate U Give” is any indication of her talent and merit, I’d love to see more of her on the big screen. Starring Amandla Stenberg, Regina Hall, and Russel Hornsby, Starr Carter (Stenberg) is constantly switching between two worlds: the poor, mostly black, neighborhood where she lives and the rich, mostly white, prep school she attends. The uneasy balance between these worlds is shattered when Starr witnesses the fatal shooting of her childhood best friend Khalil at the hands of a police officer. Now, facing pressures from all sides of the community, Starr must find her voice and stand up for what’s right. THE HATE U GIVE is based on the critically acclaimed New York Times bestseller by Angie Thomas and stars Amandla Stenberg as Starr, with Russell Hornsby, Regina Hall, Issa Rae, KJ Apa, Algee Smith, Sabrina Carpenter, Common and Anthony Mackie. Movie Scene Queen and 20th Century Fox is hosting a special, advance screening of THE HATE U GIVE for Wednesday, October 10 at AMC Waterfront 22 at 7:30 PM. Please comment below with your favorite high school moment. I know this isn’t the best way to highlight public education. But, our school cafeteria locked from the inside so we used to lock students, staff, and security out all the time. One time someone (not me) took it too far and started a big fight. All in all, it still was a really good day and no one was seriously injured. Ice Cube is back in the barbershop as owner and community activist Calvin Palmer, Jr. in Barbershop: The Next Cut! Calvin (Ice Cube), Eddie (Cedric the Entertainer) and the rest of the gang must work together to save his shop and the neighborhood. Both screenings will be held at AMC Waterfront 22. For tickets, please comment below with your favorite Barbershop moment. Personally, the first one was the best– Eve was at the peak of her rap career, Ice Cube was confirming his transition from gangster rapper to known actor and filmmaker, and Cedric the Entertainer brought everything together as the shop patriarch. It was the first time we saw a movie of that kind. 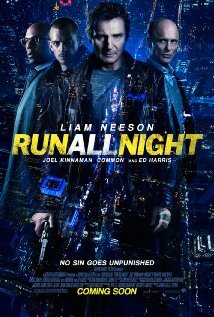 From Warner Bros. Pictures comes the action thriller Run All Night, starring Oscar nominee Liam Neeson, Joel Kinnaman, Vincent D’Onofrio, and Oscar nominee Ed Harris, and Oscar winner Common, under the direction of Jaume Collet-Serra. Brooklyn mobster and prolific hit man Jimmy Conlon (Neeson), once known as The Gravedigger, has seen better days. Lately, it seems Jimmy’s only solace can be found at the bottom of a whiskey glass. But when Jimmy’s estranged son, Mike (Kinnaman), becomes a target, Jimmy must make a choice between the crime family he chose and the real family he abandoned long ago. Dozens of films have been created to depict the life and legacy of Dr. Martin Luther King, Jr.—but none have been as riveting and piercing as ‘Selma’. In delicate detail, the movie highlights the three 1965 Selma to Montgomery marches which ultimately led to the passage of the 1965 Voting Rights Act. The movie also resurfaces sensitive topics like MLK’s marital infidelity, FBI wire tapings and intimidation tactics, and the initial pushback from the Student Nonviolent Coordinating Committee (SNCC). 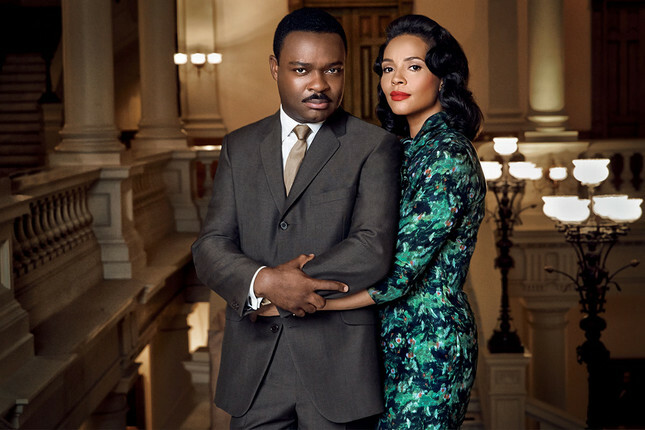 Directed by Ava DuVernay, the movie has a crowded lineup including David Oyelowo, Oprah Winfrey, Carmen Ejogo, Tom Wilkinson, Tim Roth, Common, Lorraine Toussaint, and Cuba Gooding, Jr. Oyelowo and Ejogo were spitting images of the Nobel Peace Prize recipient and his late wife. 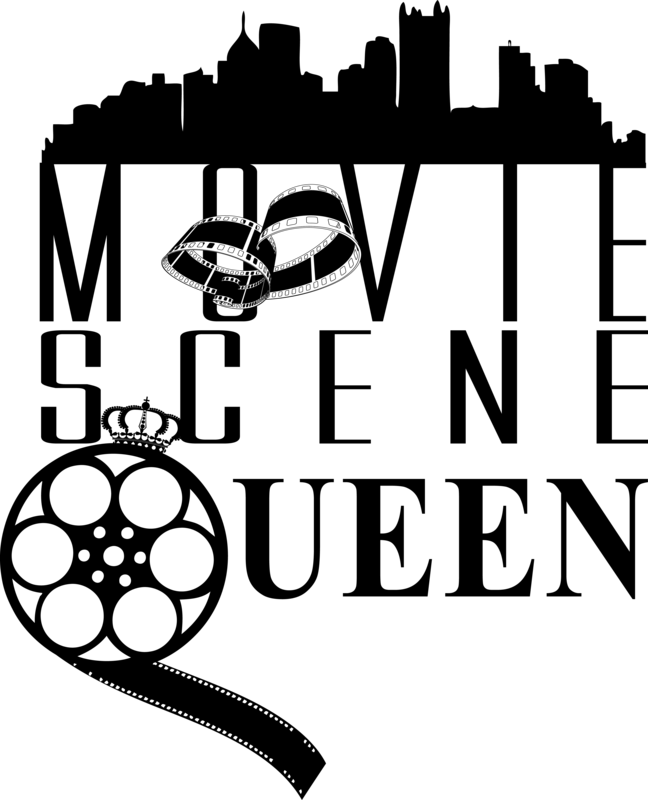 From voice to posture to presentation, the pair is the most potent part of the film. Their lonesome moments together on screen echoes true unification of one of the greatest couples of all time. Even some of the notable moments in history makes your whole body shake in disbelief when ‘Selma’ reenacts the occurrences. For example, the 4 little girls and the bombing of the 16th Street Baptist Church is one of the country’s most heinous crimes. We ought to all be familiar with it, but for some reason when DuVernay gives her rendition of the bombing it takes cinematic recreation to a whole new level. The same approaches civil rights activists displayed in 1965 are mirror images of the work being committed today. Riots and protests have emerged all over the country for Oscar Grant, Trayvon Martin, Michael Brown, and Eric Garner. In my mind the biggest uproar has been in the small suburb of St. Louis, Missouri. Ferguson has drawn thousands of people in hope to get answers and justice. Selma is the ideal learning tool for this Black History Month. As the first major motion picture depicting Martin Luther King, Jr.’s life, ‘Selma’ can be a direct connection to opening up conversation about other tense cities like Watts in 1965, Los Angeles in 1992, and even, Ferguson in 2014. Gun violence and police brutality in 2015 is what voting rights was in 1965– a call to action to promote unity and change. Fifty years later, racially motivated disparities of the world are an opportunity to respond like they did in Selma. Anytime we witness a racial injustice or inequality it is our duty to mount up in the same fashion as the leaders in Selma. The most rewarding part of Selma is the showcase of the unsung heroes like Coretta Scott King, Andrew Young, Viola Liuzzo, John Lewis, James Reeb, and Ralph Abernathy. American history injects lethal amount of untold truths surrounding African American history. As a child, I was taught the bare minimum about slavery and Martin Luther King Jr. was the poster child for the Civil Rights Movements. It is pure excitement when movies like Selma, 12 Years A Slave, and Lee Daniels’ The Butler can bring cinematic clarity to these unknown circumstances of historical events. DuVernay wasted no time getting straight to the point. My only question is: Where has Ava DuVernay been? Although she has other smaller film projects, we, as movie spectators, need more from her cinematic bank. Her delivery was mere perfection and visually, trumps every introductory African American History course by strategically focusing on the height of Dr. Martin Luther King’s career and intricate details that surrounded it. 5 STARS: ‘Selma’ is the best film of 2014 and serves a timely purpose in the wake of the civil rights and liberties that are currently being taken advantage of. 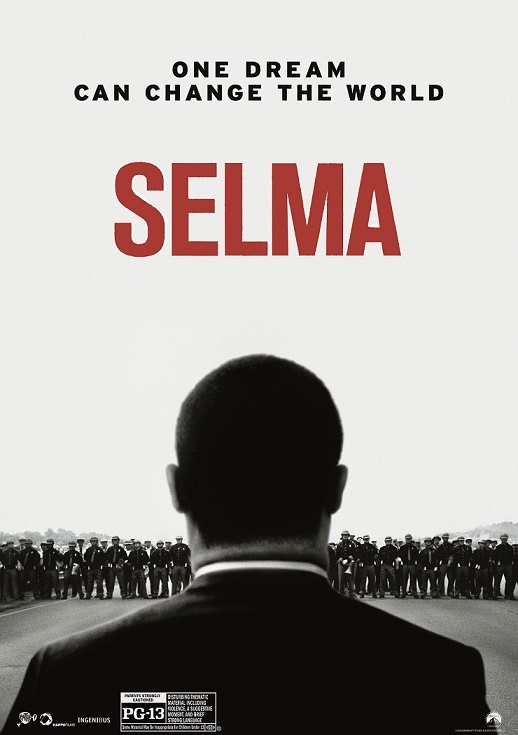 This film is a fruitful yet frightening, gut-wrenching yet glorious reminder that Selma was just a battle in an on-going race war. 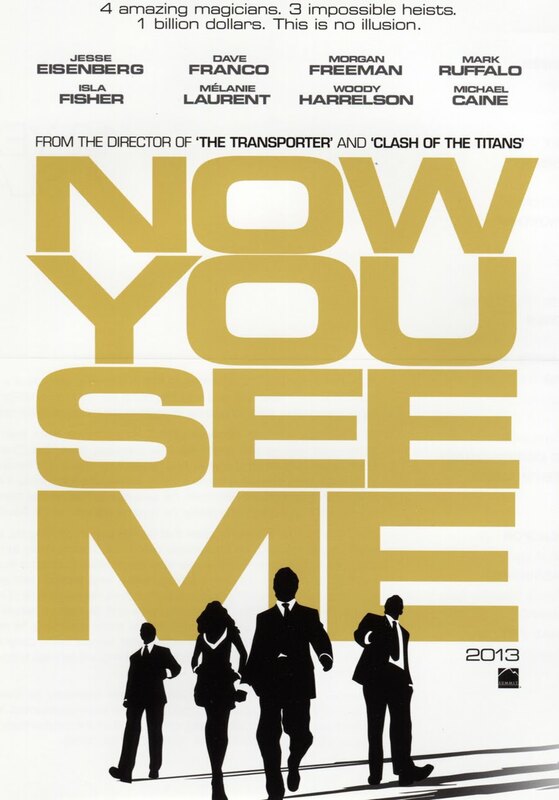 Now You See Me was surprisingly refreshing and filled with suspense, action, and occasional laughter. The movie follows four lonely illusionists as they live out a dead magician’s son’s vendetta. FBI agent Dylan Rhodes (Mark Ruffalo) joins forces with Interpol Detective Alma Vargas (Mélanie Laurent) to prove that a team of Las Vegas magicians, the Four Horsemen, were responsible for robbing a Paris bank and rewarding their audience with the $3 million. The Four Horsemen consists of as J. Daniel Atlas (Jesse Eisenberg), The Know-It-All, who amazed New York City crowds with his elaborate card tricks, Isla Fisher as Henley Reeves (Isla Fisher), The Beauty, who captivated her audience with tricks and good looks, Jack Wilder (Dave Franco), The Rookie, who seems like he was greater at breaking and entering rather than simple magic tricks, and finally, Merritt Osbourne (Woody Harrelson), The Mentalist, who before joining the group was conning married couples out of their vacation money. Woody Harrelson, who is most known in the Black community as the b-baller from the 1992 classic White Men Can’t Jump, was absolutely charismatic and loveable in Now You See Me. He’s clearly aged but he’s aged well. In the movie, Harrelson played the brazen, arrogant psychic, knowing your every thought and desire. But, like most spiritualists and predictors, he was just very good at guessing and sensing the obvious. Harrelson definitely get puts on the “You’re So Ugly, You’re Kinda Cute” List! Another pleasant, handsome surprise was rapper and actor Common, who played FBI Supervisor Evans. Common only popped up in a few scenes but it was definitely worth it! He’s so posed and regal that it’s hard not to notice him. I still haven’t come to a solid conclusion whether his talents are more superior as an actor or a rapper. But, if Nelly, Ludacris, and TI can do, I say more power to Mr. Common! My favorite AARP card holder, Morgan Freeman (197 years old), graced us with this presence. Mr. Freeman has yet to let me down in his cinematic roles. In Now You See Me, he’s a key player. His character, Thaddeus Bradley, exposes the tricks to everyone’s act. Money quickly becomes his motivator as he shifts gears mid-way through the movie. Of course, this isn’t a spoiler review so please check out Now You See Me, which “magically” hits theatres on May 31st! 3.75 STARS: Besides the ending, which happened to be a little cliché, the movie was great!